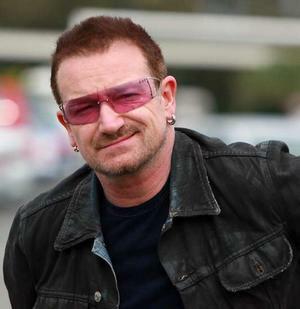 While in Vancouver earlier this week Bono and his assistant went for a stroll and were hit by rain. So they were hitchhiking on the side of the road when an Edmonton Oilers player, Gilbert Brule, and his GF drove by, noticed it was the famous Irishman and picked him up. So they get to talking and Bono asks them if they want to come to the concert in Edmonton on the Wednesday...same day as Game 1 of the Canucks Bruins series, which apparently was why they were in Vancouver...but f-ck hockey, it's Bono. They sold their game 1 tickets and went back to Edmonton. Backstage passes and everything. I am going to think twice next time I throw glass bottles out the window at a hitchhiker because now it could be anyone trying to bum a ride! Now I shall only throw plastics...Bono is definitely changing the world for the better.